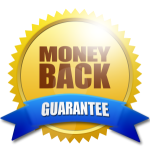 TidyGarage® is proud to offer our customer satisfaction guarantee, and confident, once you have used our garage storage products, “you’ll love the results”. Above all, we are about quality, and our goal is to provide the highest quality product, at the lowest and most affordable price we can. TidyGarage® guarantees the quality of our products, with the assurance all garage storage products have been designed, engineered, and manufactured in North America. Over (85%) Eighty-Five percent has been manufactured and produced via our United States operation, located in Dearborn, Michigan, U.S.A., while the remaining (15%) Fifteen percent is manufactured and produced in Windsor, Ontario, Canada. All hardware, along with the base or foundation parts used to construct, assemble, or otherwise produce the end product, have been made with 100% U.S.A. Steel or Metal. Our high quality garage storage products are guaranteed to be without defect for their lifetime, or your money back. If you are not completely satisfied with your purchase, you may return the item for a full, no questions asked, refund of the purchase price only. Customers are responsible for the cost of shipping the returned item(s) to TidyGarage®.